Montlick & Associates is proud to have partnered with Children Without A Voice, USA (CWAV) to create The Ambassadors 4 Kids Club, a national Anti-Bullying program. CWAV is a national, non-profit organization that is dedicated to raising awareness and preventing crimes against children, child abuse and neglect through advocacy and education. The Anti-Bullying Program is one that both CWAV and Montlick & Associates are proud to have co-founded to help keep our kids safe. "As parents, we've seen the devastating effects that bullying can have on children. Our firm is proud to have been the founding sponsor and to support this program on many levels; including assuming full leadership and operation of the program as of December, 2014," says Montlick & Associates' Founder and CEO David Montlick. To learn more about the history of A4K and Montlick & Associate's extensive support of the program, please visit our A4K Club page. The Anti-Bullying program is a youth ambassadors for kids club that works hard to create an environment of respect, kindness, and human decency within our schools and community. The club is about helping kids find their voice and taking a stand for what is right. Membership is FREE to all students who join and take the pledge. To learn more about the A4K Club, please visit the a4kclub.org today! The A4K Club website has tons of really helpful information and resources for kids, parents, teachers and community leaders. Child Abuse and Bullying are serious issues within our schools, our communities and across the country. We see stories of children being bullied on the news every day. Sadly, over 50% of kids will be bullied. Each day 160,000 students miss school for fear of being bullied, and 282,000 students are physically attacked in secondary schools each month. The incidences of mental and verbal bullying are of course much higher. Social media and texting have made things much worse. And what is most tragic is when we hear in the news that a child has taken their own life because they were bullied. That is why the Anti-Bullying Program and A4K Club are so important. Educating our youth about respecting each other's differences and empowering them to speak out when they see another child being bullied will help save lives! 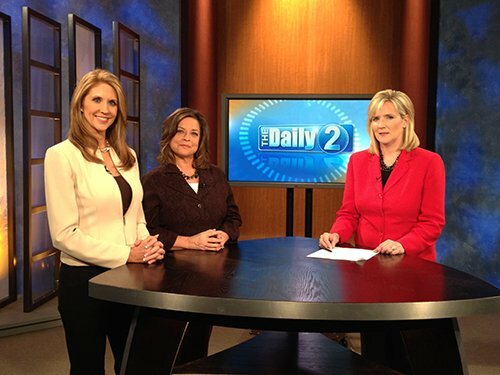 Founder of Children Without A Voice on the Daily 2 Set at WSB-TV in Atlanta, GA.
Children Without a Voice USA is dedicated to raising awareness and preventing crimes against children, child abuse and neglect through advocacy and education. A4K mission statement: To help prevent and stop child abuse by educating children on forms of abuse including bullying; and encouraging and strengthening children to speak out for themselves and others who are experiencing abuse.